From left, Ruth Hammett, Gladys Butler, Bernice Underwood and Leona Barnes, who will all turn 100 this year, at the Zion Baptist Church. 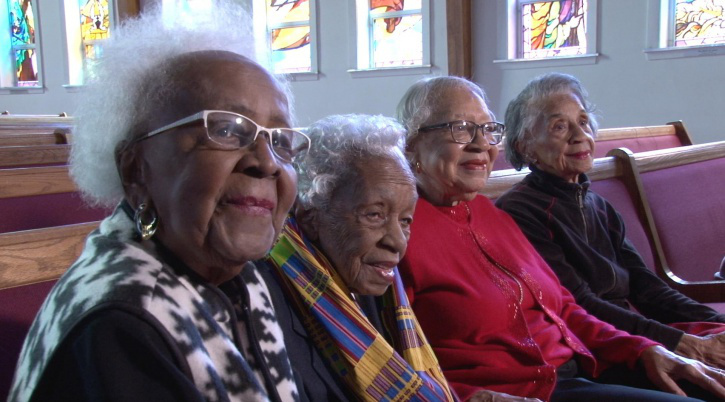 Four amazing women are the true definition of “Keeping It 100! !” These friends are looking forward to celebrating their 100th birthdays together this summer. What an inspiring story of life long friendship! Think of all of the collective experiences and wisdom, these ladies possess!! This story and its accompanying video are truly uplifting! These phenomenal women never imagined that their longevity in age and friendship would be a journey that would last nearly 100 years. Their journey would include everything from segregation, to starting families, the death of their husbands, and even the election of a Black President. Click the link below to read the full article on Blackdoctor.com. The original article was published in the Washington Post.